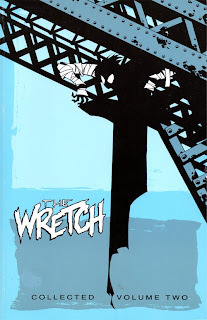 My look into Phil Hester’s obscure but brilliant The Wretch continues as we go back in time to the collected second and third volumes. Essentially, the title’s issues were put out in reverse, as Slave Labor Graphics/Amaze Ink, the last publishers of the title, wanted to get their issues out in trade first. The second volume, Devil’s Lullaby, contains some of the strongest issues of the title. The final and much smaller volume, From Cradle to Grave, contains the earliest, very short stories, along with the final story so far, which first saw print in this book. None of these variances in publishing order are really apparent in the books aside from some art changes. There is almost no continuity in The Wretch, with only one example in each volume. In the second volume’s “Happy Birthday,” a man sells his soul to Satan to rid his daughter of Down Syndrome. The Wretch uses the little girl’s glove to end the pain of the titular character of the book’s final story, “The Wailing Woman.” The third volume’s “Exorcism 101,” the very first Wretch story, has as a side character Gilby Gott, the protagonist of the first story in Everyday Doomsday. Gott seems to be a stand-in for Hester himself, and it’s a nice Easter egg linking one volume to another. Devil’s Lullaby is split between four serious stories and four funny ones, allowing Hester to show off the different facets of his writing skill. “Rain Babies” follows the titular creatures as they wreak havoc through Glass City. As the Wretch tries to catch them and harness them for good, we get a look into the minds of the city’s residents and get their interpretations of what the “rain babies” are. Hester has a fascination bordering on obsession with babies in The Wretch. The monster in Everyday Doomsday’s “White Lie” had a baby face. “Rain Babies” and “The Wailing Woman” from this book and the trade-only story in From Cradle to Grave all center on them. This last story explains why: for Hester, babies present an uncertain power. They can grow up to be good or evil ... and who knows what they were in a previous life? The baby theme is an expansion on Hester’s general use of children in these stories, using their innocence or lack thereof. The former can be seen in “The Sun,” wherein a young girl is terrorized by a wall-hanging sent by her delinquent father. When it co-opts a Power Rangers doll and a pair of scissors, it becomes even more terrifying, and there’s some extra power in the justice dealt to the father at the end. Compare this to “Devilrock,” which directly precedes “The Sun.” Two losers play a record backward and become demons, allowing them to ruin the life of one of their older brothers. They look rather creepy, but it only makes their bickering goofier until the Wretch takes them out with a cigarette lighter. Our hero seems at home in both types of stories despite the rapid change in tone. Like the Kirby homages in Everyday Doomsday, Hester likes to use the shortness and lack of continuity to homage other creators. “Mandelbrot’s Leaf” is, by his own admission, a tribute to Chuck Jones, as a supervillain inadvertently sets off “the end of the world” with his patronizing bragging. “Ultimax” in the third volume is another Kirby homage, although this time it’s closer to New Gods rather than Galactus. It’s also the wordiest story by far despite none of them being spoken by the Wretch. I mentioned an artistic shift, and it’s more present as you read on. It’s explained in Hester’s opening pages that, initially, the Wretch was called the Creep. 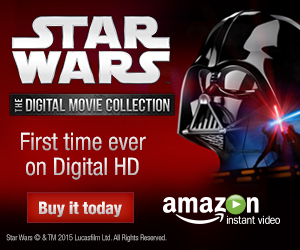 This was later changed to avoid copyright conflicts (presumably due to DC’s Creeper). As the Creep, and during most of these two books, the Wretch has a thinner head, broader and spikier hair, and a set of hoses on his chest. The hoses are actually useful, gathering up fluid in “Rain Babies” and delivering powerful flames in “Devilrock.” However, Hester was advised by Alex Toth to simplify the design. For those unaware, Toth was a comic book artist who created the character models for Super Friends and other Hanna-Barbera cartoons, so advice like this is wisely heeded. The result is the slimmer Wretch from Everyday Doomsday. Losing the hoses actually helps in the storytelling: this way, they don’t become ever-present weapons to be used, instead making the Wretch come up with his own intricate solutions. Hester isn’t the only writer or artist involved, either. Mike Worley drew the hilarious "How Did You Create The Wretch," a cartoonish tale of how the Wretch saved Phil Hester from drowning in a swimming pool, turning him into Namor in the process. “Devilrock” was written by Jason Caskey, but it feels much like a regular Wretch story because of the similar childhoods of the two authors. Colin Wales drew the intricately silly “Satan Crisps,” which feels out of place with the rest of the book but not really to its detriment. Wales also created the equally silly “Tag” in From Cradle to Grave, which is the only story in the series featuring aliens. Despite what confusion the collection order of these books may cause, I can understand why the earlier stories were held back for the final volume. Had the collections of The Wretch started out with the earliest material, there would have been little interest in collecting the whole thing. Only towards the end, in the final pre-published story, does it really feel like it’s leading into the other stories. While I don’t have the same emotional connection to Devil’s Lullaby and From Cradle to Grave as I do with Everyday Doomsday, I enjoy them all the same. Sounds nice! So this collects earlier issues of the series, heh?